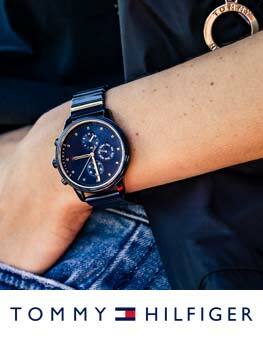 Nice looking watch, good size for ladies, with nice clear face to see the time and date. 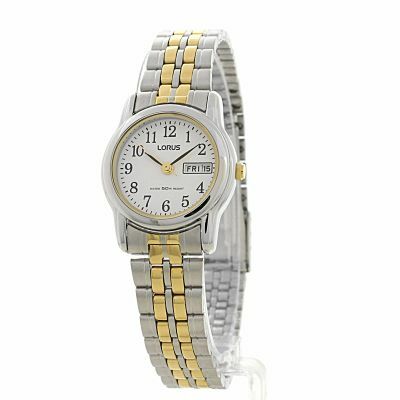 The watch was just what my wife wanted, with day and date, yet a smart lades watch with silver and gold finish. 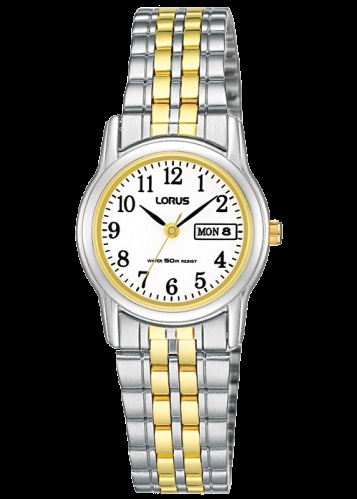 Excellent Lorus watch had one before that lasted a long time so hope this one does too! 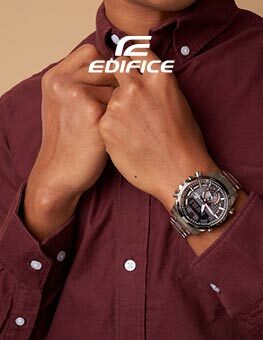 perfect watch,delivery and.no problems at all. 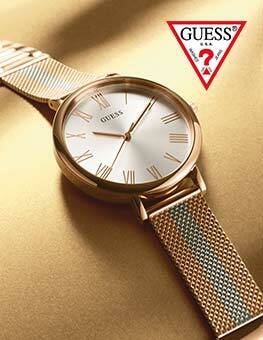 This is a dead ringer for the very expensive watch which was given to my wife by her parents on her 50th birthday. The clear, round, white face with black numerals and two-colour metal bracelet says classic elegance, but at a price even I can afford. Wow, what can I say!!! I bought this watch for a christmas present for my mum I was very much surprised when I received it.. It looks more expensive than it is, delivered as advised when ordering, mum loves it and so do I. It was too big as expected but had no problems at goldsmiths altering it free. I would most definitely order again from the watchshop I am VERY impressed outstanding in all areas, well done!!! The product was just as described looked very nice on. As this was am present I can only say what I thought of it. The watch was just what we wanted for my daughter. However the strap was too big. The instructions provided by Lorus did not match the strap and we had to take it to a Jewellers to have 4 links removed. 1st order had to be sent back, it was totally useless time could not be set, replacement was received and worked perfectly, it was for my mother and not one that I would choose. Nice ladies watch not too large but with a very clear face and hands for those with not perfect eyesight, although the day and date are a little small. easy to use bracelet with firm closing action. Gold and silver finish give a smart if not blingy appearance. Very clear face with day and date. I found adjusting the bracelet quite difficult. Nice looking watch, clear easy to read dial.plus day and date and adjustable brace. The watch was itself was a great present for my fiance. she loves it and its great quality. 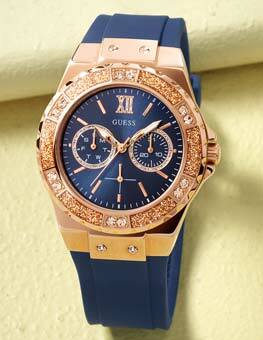 Fabulous watch. Looks really smart, has a clear face and I really love wearing it. I havent taken it off since I got it. Very pleased with the watch. It is stylish and practical with a nice clear face. I really like the look of this watch. It has a very clear face which I find easy to see. It looks good and seems to be keeping good time. Looking forward to my hols and having a waterproof watch for the swimming. I didnt find changing the day and date easy to change as the two click points mentioned are not easy to find. All in all a good buy for the price. Dial is clear but watch size is small A.smart looking watch. Main problem is setting the day and date. This is very difficult as the winder - crown has no steps as you pull it out to make the ajustments. Wrist looking band needs a strong pull to open it, Theres no unlooking release buttons to help. 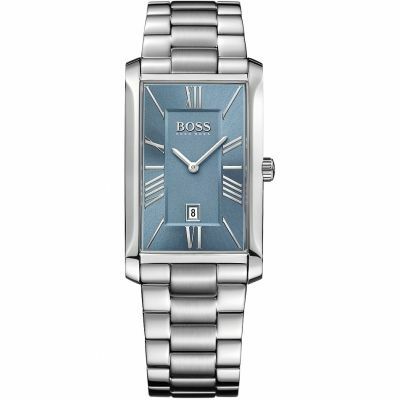 This watch is exactly as described and the service from Watch Shop was excellent and trouble free. I would recommend Watch Shop to anyone looking for straight forward honest purchase.